For the last few years, I have been involved with the Berkeley Castle Project run by the University of Bristol. My role started as a student and evolved to Coordinator of the Social Media project as of 2013. The idea behind working on social media was to showcase the amazing work that our Bristol students undertake every summer as part of their undergraduate programmes and the incredible research by academics. An average day sees at least 50 students on site and there is an fantastic buzz in the air, full of excitement at the thought of new discoveries and lots of enthusiasm from those who understand it as a valuable learning experience that they can take with them into their careers. 2013’s Social Media project was a real success, reaching a vast worldwide audience (Find out more here: facebook.com/DigBerkeley). 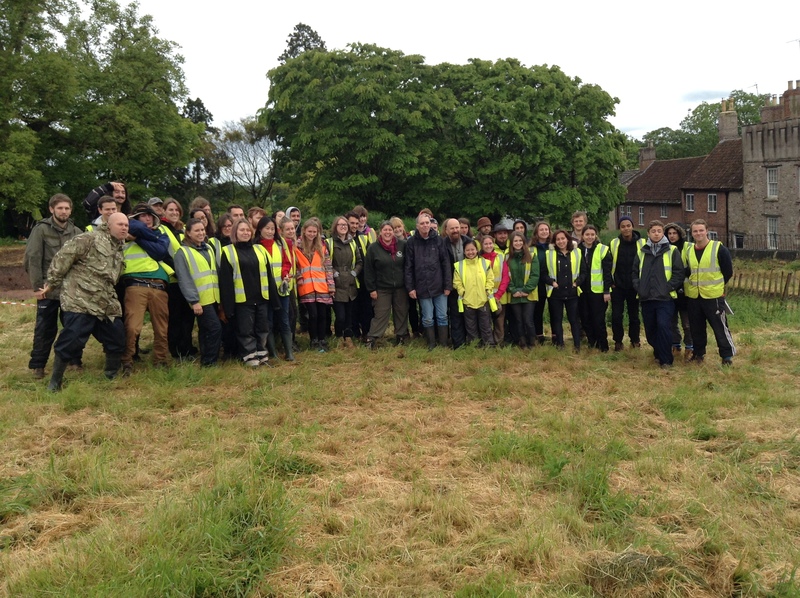 It also allowed the students to develop great transferable skills on professional practice and public engagement. All sounds great, right? But there was one element missing for me – engagement with the local community. We have a great relationship with the main tourist attractions of the Jenner Museum and Gardens and Berkeley Castle, and St. Mary’s Parish. The local community were offered free tours and talks every season. In my view, however, this placed them as passive recipients of knowledge and offered no obvious route for them to share their views. 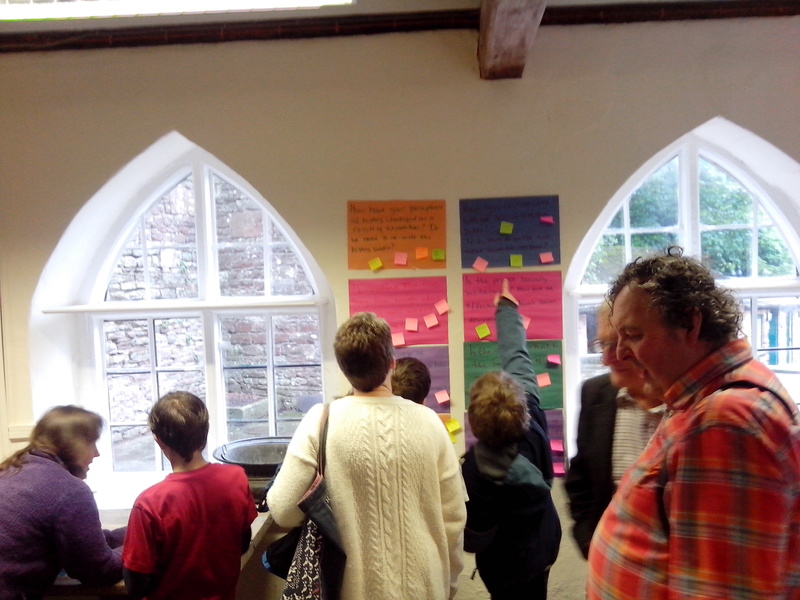 By a fantastic turn of luck, the University of Bristol started the Green Apple Scheme that supports projects that relate to Education for Sustainable Development (ESD), which can include community engagement. I saw this as a great opportunity to get some much needed funding to engage with the public and provide relevant archaeological outputs while introducing students to wider concepts of ESD. The community were invited to a student-designed student-led workshop where they discussed issues including: communication and engagement; community representation; and environment and social sustainability. 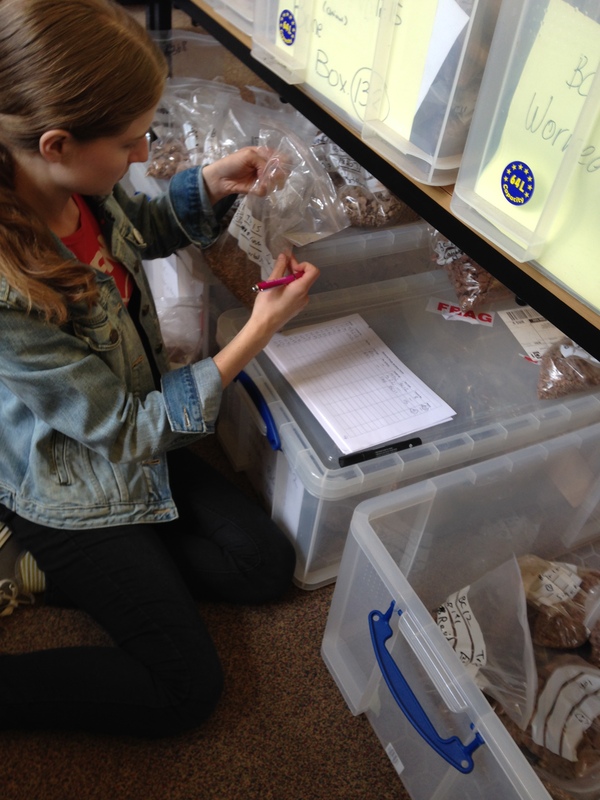 Students then reviewed the responses and created an in situ exhibition in the three sites of excavation (the Castle, the Jenner Museum, St. Mary’s Church) and also posted materials in the local community library – all in time for the Festival of Archaeology. (You can read the full report of the project here: Link). Part of the problem with local community engagement is that the community needs to come to us. As we only run the excavation on weekdays, many nine-to-five workers just can’t get involved. And even if people are free, we can’t always allow them on site due to weather, available supervisors, etc. What would happen if the archaeology was brought to them instead? Our main excavation trench in Nelme’s Paddock faces a narrow street of house built right onto the footpath. Flower pots, cats, and lacy curtains decorate the windows, but these could be supplanted (on a temporary basis) with real archaeological artefacts excavated just across the road. Imagine the feeling of having temporary curatorship of such finds in your own home, sharing the stories of these finds with your friends, neighbours and family. Perhaps each house could host a different artefact type, from ceramics, to animal bones, to shards of glass, with a little explanation alongside. This could even expand to shop window displays in local businesses. Creating a temporary town-museum could help ensure that the community is included in the archaeological project and invite further participation and a sense of ownership over their own heritage. The project could also sit within next year’s plans for the Festival of Archaeology and Berkeley Castle‘s socio-historic heritage trails. Combining efforts and joining forces will mean that there is a better public offering, better engagement, and a better sense of community involvement.